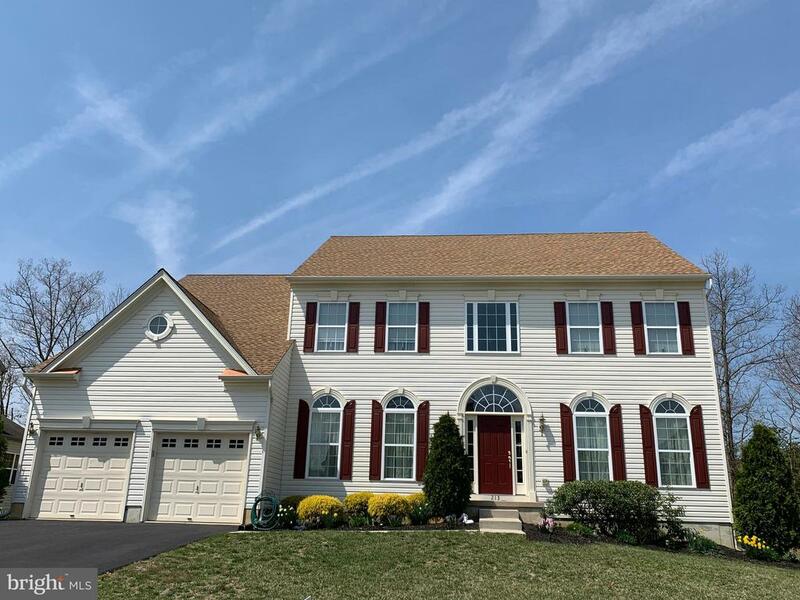 All Williamstown homes currently listed for sale in Williamstown as of 04/22/2019 are shown below. You can change the search criteria at any time by pressing the 'Change Search' button below. "Great opportunity and location to Farm or place your business.Buyer financing available. Property consist of 3 lots that are contiguous that comprise 19 acres. Old Farmhouse situated on lot 13 which is one acre. The other 18 acres are on lots 12 & 14. Approximately 8 acres is zoned Regional Growth Commercial with the remainder zoned AG. About 5-7 acres is tillable with the rest lightly wooded. Property has public water & sewer and there are several tie-ins along the depth of the property to connect to public sewer. 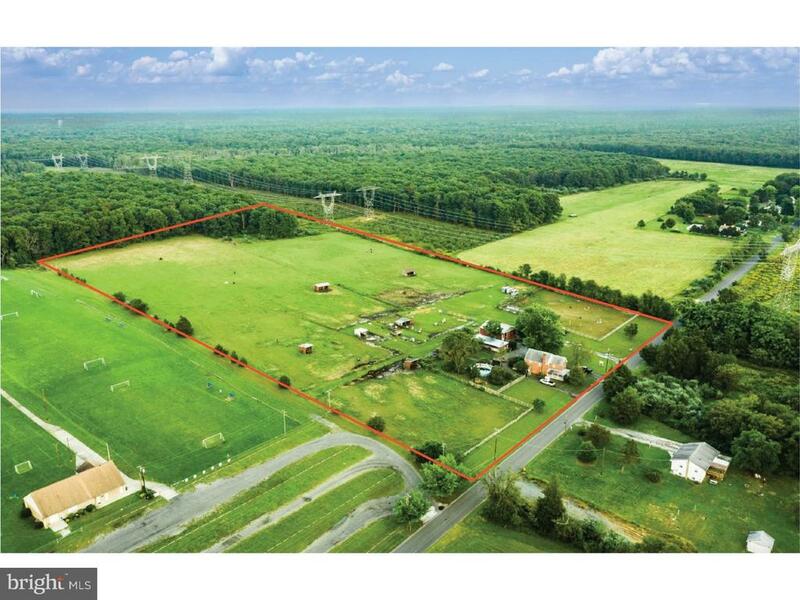 New business to Gloucester County may qualify for tax abatement but property is qualified for farmland assessment. 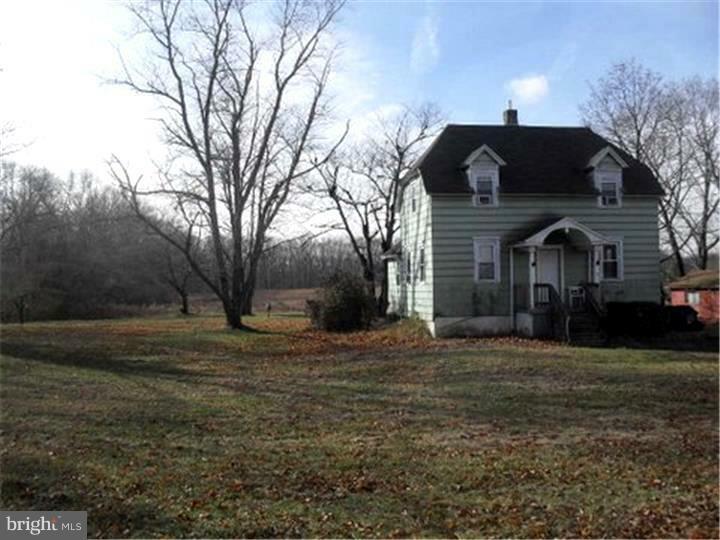 Property is situated on busy US 322 about 200 yards to a jug handle at Whitehall Rd. A fire hydrant is situated at the front of the property as well as fire department being less than 1 mile from the site. And, that can reduce your cost of fire insurance. Cecil Marine Boat Yard and Anthony & Cleopatra Catering are just two of the nearby businesses. Seller will allow an ample due diligence period to acquire approvals. Property is situated in the NJ Pinelands and the local and County Economic Development agencies can assist in expediting your due diligence and/or approvals. Site is equal distance to AC and Philly, as well as major highways to North, Central Jersey and Delaware. Use your developer or one we have that is familiar with the site and the Twp." "A land of SERENITY amidst the bustling suburbs awaits! 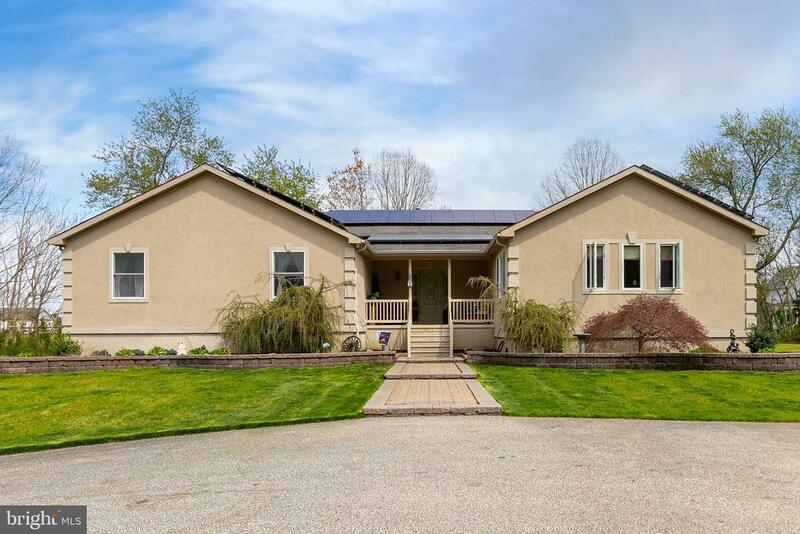 Nestled in between Monroe Township Soccer Field and Winslow Fish and Wildlife Management Area, this farm boasts uninterrupted pastures and serine settings. An existing lovely brick farm house, a functioning barn, garage, storage, and fenced in fields all contribute to this fully functional farm. Attention Horse Lovers... Plenty of space to ride, train, and house your horses, including trails into the Winslow Fish and Wildlife Management Area. Bring your imagination to life on the almost 20 acres of open field. Calling all entrepreneurs with a a passion for farming. This lot would be a perfect fit for a vineyard with a tasting room. Minutes away from Rowan College and highly traveled shore routes (including the Atlantic City Expressway), tourist traffic and commerce are easily obtainable. The possibilities are endless in your 168 year old brick farm house with all the charm that farm life has to offer. With approximately 1800 square feet of living space, 4 bedrooms, 2 bathrooms, an eat in kitchen, separate laundry room, front porch, and rear deck, this home can quickly become the farm home of your dreams. If you have ever wanted your own green fields, here is your chance to own 20 acres of green pasture and an active healthy farm awaits!" "It's extraordinary! You'll love this amazing custom home nestled on a spectacular wooded 18 acres of undeveloped land where indoor and outdoor living space comingle perfectly! The current owners have exhibited incredible attention to design and detail and a fine appreciation of upscale comfortable living. The home design is made to accentuate space, storage and functionality in a gorgeous natural setting. A long winding driveway leads you to the charming mahogany front porch entryway welcoming you into this absolutely gorgeous and spacious Cape Cod. An open center hall foyer greets you with a large double closet and shining Brazilian cherry hard wood floors that continue throughout most of the main level rooms. A large dining room is the perfect size for hosting your formal gatherings. A delightful family room can be as casual or formal as you wish and provides you with a generous space, views of the back yard and a cozy brick wood-burning fireplace. The eat-in kitchen includes sleek hickory cabinetry, recessed lighting and desk space. French doors will lead you from this area out onto the large screened in porch and outdoor living space in warmer weather. The first floor en-suite master bedroom is tucked away from the main living area and has a large bay window with peaceful views of the outdoor landscape. A second first floor bedroom shares a full main bath which also serves as the first floor powder room. Also, on the main floor is the large laundry/mud room with storage perfect for shoes and jackets when you come in from the back yard or from one of the two large 2 car garages ~ one attached and one detached. There is an office in a remote part of the house accessible from the laundry room which also has its own separate private entrance. Perfect for running your own business and receiving clients away from personal space. Upstairs you will find 2 more simply adorable bedrooms with nooks and arched ceilings reflective of the classic Cape Cod style"
"Welcome home! The home owner has put a lot of love and attention into building this 3,800 sq/ft house! When you arrive you KNOW this is one of a kind! Pull your car into one of the spaces in a 3 car garage. When you enter you immediately notice all of the natural light shining off the Brazilian Cherry Wood Floors, and high ceilings. 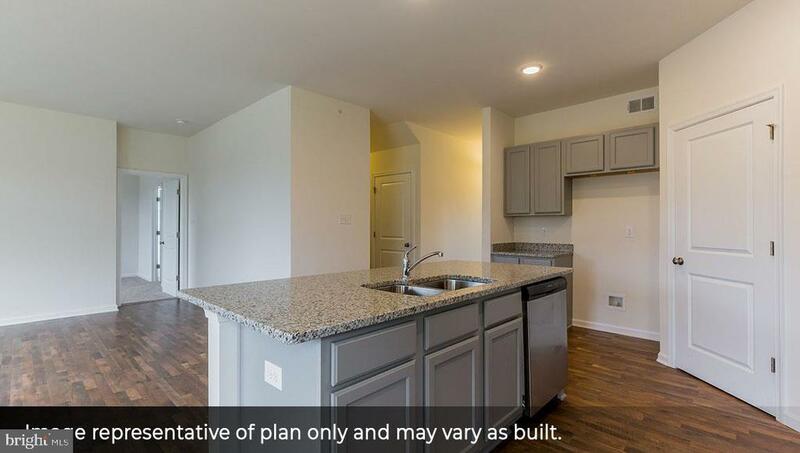 Features including, Tray ceilings, Marble counter tops lining the kitchen, stainless steel appliances, a smart oven, Jack and Jill Bedrooms, a master bedroom with a master bathroom, and a closet that is 7 ft by 14 ft! This home was built with that WoW factor!Call today to schedule your tour. Don't forget to take a look at the 3D Virtual tour that allows you to walk through the house and view all its glory!" "WOW! If you're looking to be impressed, this beautiful, meticulously-maintained home is the one you've been waiting for! This single-family home offers every convenience you can imagine including a bright open floor plan, vaulted ceilings, tile & hardwood flooring, over sized 30 x 50 detached Garage with loft. The ease of one floor living with the bonus of a basement for you or your guests. Situated on a quiet private lot, this home has incredible curb appeal with tastefully landscaped flowerbeds and a welcoming front porch to sit back & relax on. As you step through the front door into the foyer, you will immediately notice and appreciate this home's open floor plan and natural lighting throughout. Straight ahead is the kitchen area which offers ample space for entertaining. Plentiful windows provide a view of the incredible yard and large 17 x 32 TREX deck. Step into the kitchen and you're able to easily prepare and enjoy a meal courtesy of your spacious eat-in kitchen area with granite counter tops, self-cleaning oven, refrigerator, dishwasher, trash compactor all stainless-steel appliances are in included and a walk-in pantry. There is an oversize kitchen island with a stone wall that adds character to the kitchen. Addition to the large kitchen there is the large dining area to use to entertain. Off the dining room is the 24 x 24 sunken family room. The family room boast vaulted ceilings and large windows with recess lighting. Venture down the hallway and you'll discover your master bedroom suite which boasts a double closet and a private master bathroom. There is a walk-in shower, two sinks, and a soaking tub. Also, on the 1st floor is your laundry room, another full bath, spacious 2nd and 3rd bedrooms with ample closets. But wait, there's more...walk downstairs and discover your large finished basement area, including ample space for you to have a pool table, bar area, and lounge area with a 3rd full bathroom. Need peace & serenity? No problem, back on the mai"
"Welcome Home. This 3565 Square Foot Masterpiece has every Upgrade Imaginable. Situated on a Premium Lot located in the highly prestigious Willow Woods subsection of Williamstown, this Outstanding Home has a Full Finished Walkout Basement leading to Scenic Views, a Basketball Court and Gazebo. Step Inside and experience the two-story soaring Cathedral Ceiling Entry Foyer With Hardwood Flooring Package and Curved Double Staircase that is sure to Impress. The Dining has beautiful Chair-Railing, Crown Molding and Shadowboxing. The Living Room is Formal and perfect for quiet time reading or conversation. The Great Room has 10ft. Ceilings, Gas Fireplace, Columns and Surround sound and is simply Great. The enormous Gourmet Kitchen with Center Island Breakfast Bar, Computer Desk, 5 Burner Stainless Stell Stove, Double Oven, Butlers Pantry, Garbage Disposal, Pantry, Ceramic Flooring and Recessed Lighting Package is Breath Taking. The Sunlit 15x12 Florida Room Addition is the perfect place to enjoy the solitude of the morning overlooking the scenic back yard. The 30 x 30 Entertainment Room in the Finished Walkout Basement is the perfect for entertaining guests. The Finished Basement also has a Theater Room, a Half Bath, and 2 Huge Storage Areas. The steel I-Beam Construction, Insulation, 2 Zoned Heat and Air, Whole House Fan and Mechanical Systems demonstrate the Quality of Construction. The Master Suite is simply Luxurious with two sided Fireplace partitions the Master Bedroom From the Dressing/Sitting Room. 2 Enormous Walk-In Closets and Master Bath adjoin the Sitting Area. The second and 3rd Bedroom are of a gracious size and are adjoined by a Jack and Jill Bathroom. The Fourth Bedroom is also very spacious. The First Floor Den could be used as a First Floor Master Bedroom with Full Bath and Closet just outside the Bedroom. You must see the home to truly appreciate all the uprades, attributes and amenities. After you see it, naturally you'll want to own it." "Must see! Gorgeous executive styled home tucked away at the end of a neighborhood of picturesque homes offering a large open floor plan, large private yard, dual entrance staircase, new roof, new 2 zone air conditioner, and finished basement! There is nothing to do but move right in. 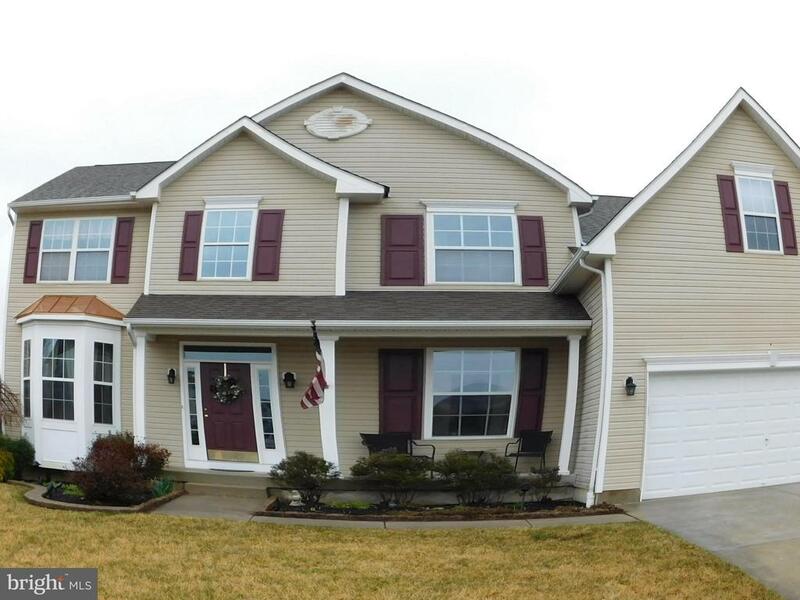 You will appreciate the attention to detail and the care that has been taken with this home. As you walk up to it, you will notice it has been power washed and newly painted to match the new roof. The grande foyer sets the stage for this home with views of the living room with crown molding and the elegant dining room that has crown molding, chair rail, shadow boxes, & ceiling medallion. This home is great for entertaining and offers a butler's pantry between the large kitchen and dining room. The gourmet kitchen features a large center island with breakfast bar, a second breakfast bar leading to the sunny morning room, granite counters and built in desk, gorgeous cabinets with molding, recessed lighting, double wall oven, cook top, and stainless steel appliances. The hardwood floors continue into the morning room with a beautiful arched window that overlooks the picturesque backyard and leads to the large trex deck. The backyard is very large and goes well beyond the tree line (see the attached survey). The kitchen is open to the magnificent family room that has 10 foot ceilings, large windows that surround the gas fireplace, and easy access to the butler's pantry. There is a large first floor office that offers privacy. Upstairs you will also find 9 foot ceilings! The executive master suite features an elegant raised bedroom with 2 walk in closets, large separate sitting area and a master bathroom with tile floor and jacuzzi tub. Two bedrooms share a Jack and Jill bathroom and both have double closets. The other bedroom is a princess suite with its own private bathroom! The professionally finished basement is an entertainers dream! There is a very large entertainment are"
"BEAUTIFUL 4 bedroom, 3 1/2 bath house located in a cul-de-sac on the most desirable street in the Glen Eyre at the Arb development. This house has so much to offer. Walk into the 2 story grand foyer and you are greeted with a gorgeous dining room on the right and formal living room on the left. Check out the hardwood floors and crown molding in both rooms. The 2-story family room has a wall of palladium windows & marble gas fireplace. The den/office has French doors & hardwood flooring that is perfect for a home office. Roman-arched entrances & columns throughout including the center-island kitchen w/stainless steel appliances, 42 cherry wood cabinets, granite counters & ceramic tile flooring. Enjoy breakfast in the caf~' breakfast area or the relaxing morning/sunroom with skylights. The butler station/wet bar with a wine rack in the kitchen makes it easy to entertain. Double staircase leads to the master bedroom suite with walk-in closets, a HUGE sitting area, & bathroom with a Jacuzzi tub & double sided fireplace. There are 3 additional nice-sized bedrooms with a Jack & Jill bathroom. The full basement has extra high ceilings and is waiting for you to customize it to what you want to use the space for. Enjoy the EP Henry patio in the open yard that is tree lined for privacy. There is a 3-car side-entrance garage. This house is not going to last! Make your appointment today!!" "You've finally found just what you were looking for! An immaculately kept home with numerous upgrades. Property sits on a premium corner lot, backed by private trees. This house has 3838 sq. Ft. Of living space, plus a finished basement. As you enter through the front double doors you will notice the 2 story foyer hardwood floors that extend into the powder room. The expansive kitchen consists of a 3 station island, ceramic tile floor, 42 inch cherry cabinets, pennant and recessed lighting and shelved walk-in pantry. 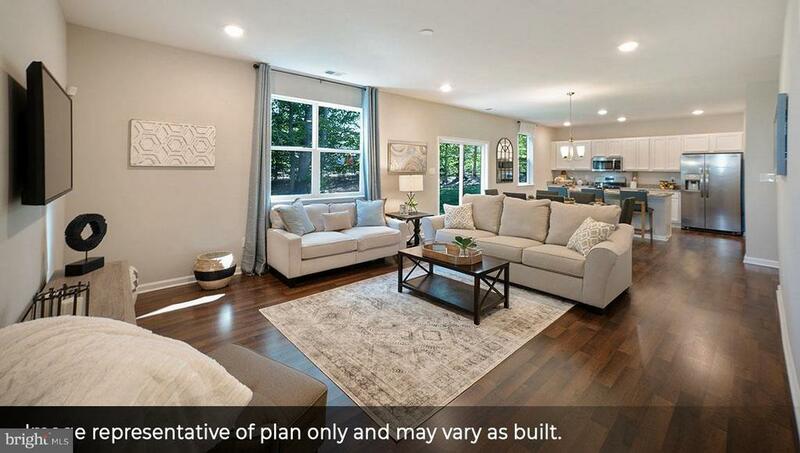 Open floor plan transitions into extended family room with bump out, ideal for entertaining. French doors lead to the private study. A huge finished basement w/pre-installed plumbing, that if finished would give this house a total of 4.5 bathrooms. Master suite boasts 2 sitting areas and a large bathroom w/Jacuzzi tub. A second bedroom, the princess suite, has its own full bathroom for guests. Intercom/music plays (am/fm, cds, tv, mp3, pandora, cell phone etc.) throughout the speakers that are located in every bedroom and additional areas. All rooms are cable ready and can access free o.t.a TV for those who cut the cord! The entire interior has been recently painted in mostly neutral colors. The 2 car garage has automatic door openers installed and house is pre-wired for surveillance cameras. For warm weather entertainment, the backyard has a 24 by 30 ft. Patio used for relaxing or basketball! If you prefer to just relax and enjoy the scenery you can sit on the 24 by 28 ft. Vinyl deck with built in lighting for evening entertaining. There are also outdoor deck speakers mounted to house to listen to some relaxing music. The backyard has a 10 X 12 storage shed with a loft for additional storage and vinyl fencing for privacy. The property comes with your very own solar panels that are ~owned~ not rented. So enjoy summer with significantly lower electric bills! In addition, a sprinkler system to help keep your grass green and pretty!" 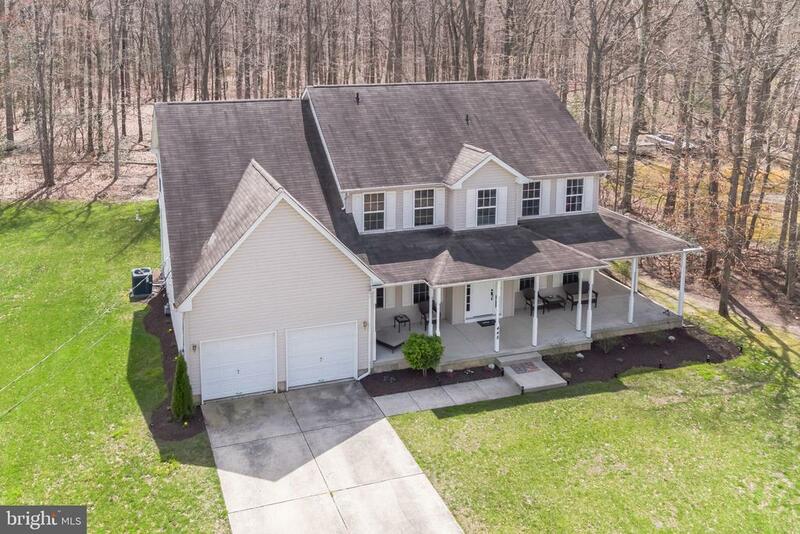 "Come check out this move in ready home in Willow Woods...You know you've found your perfect home when you see the adorable country style front porch! Plenty of room for everyone with a huge master with walk in closet and an additional 4 large bedrooms on the upper level. The main floor offers hardwood floors, an office or additional 6th bedroom, upgraded kitchen with LG stainless appliance package, granite counter tops, huge pantry and laundry room, gas fireplace in family room, formal living and dining rooms and an open staircase that leads to your finished basement with powder room, Home has been freshly painted and has all new carpet as well..."
"Exquisite 'Oxford Elite' 3,573 square foot 2 story home built by Bruce Paparone in desirable 'Savona' community with easy access to the Atlantic City Expressway to either Phila. or Atlantic City backing to trees and open space, no house behind you! Many builder and custom upgrades adorn this beautiful home starting with the brick exterior and stucco archway, 2 story foyer with large Palladium window, hardwood flooring in foyer, hallway, living, dining and family rooms, vinyl laminate in office and ceramic tile in upgraded kitchen. 42 cherry wood cabinets, additional 'Morning Room' 21x10' off the back kitchen and breakfast room area with view of treed rear vinyl fence enclosed yard plus a 'butler pantry'! Crown molding in the 9' ceiling rooms plus two skylights in cathedral ceiling family room with gorgeous wood burning fireplace, granite mantel piece that surrounds the entire fireplace! The kitchen offers enlarged center island along with breakfast and 'morning room', great for get togethers and parties! There are two stairs to go up, the front stairs has upgraded oak wood stairs! Once upstairs you'll notice the open hallway looking out the front Palladium window or looking down onto the huge family room with 2 story ceiling! All new carpet to walk on once there plus All bedrooms have plenty of closet space but the master bedroom goes on and on and on! Two walk-in closets, 12'x11' sitting room before entering the 18'x16'master bedroom suite! Besides the extra large walk-in closet there's a huge 16'x7' master bathroom with soaking tub, stall shower and double vanity sinks! Once on the main level there's the 10'x5' laundry behind the kitchen with entrance to the large two car garage with separate side door entrance to paver sidewalk around to the rear fence enclosed yard with large 'Amish' shed plus side gate. The large basement is basically unfinished but the electric is upgraded with it's own electric box in case you want to finish it off. There's a 20'x10' dance "
"Stately & Elegant best describes this beautiful brick-front colonial home located in Glen Eyre at the Arbours. Enter into the dramatic 2-story foyer with double staircase & hardwood flooring that is carried throughout the adjacent formal living and dining rooms each accented with arched entry-ways and classic wood trim-work. Beyond the formal entrance, the 2-story family room with its soaring ceilings, gas fireplace, and elegant columns serves as the dramatic focal point of the main level. The family room is open to the large eat-in, kitchen with 42cabinets, center-island, and tile flooring. Off of the kitchen is the sunny, morning room with sliders leading the back yard. Rounding out the main level is the convenient home office, powder room, and laundry room with access to the 2-car garage. From the first floor, two stairways lead to the upper level bedroom area. At the top of the stairs, a stylish catwalk balcony overlooks the family room and foyer below. The huge master suite is the ultimate retreat, complete with vaulted ceiling, his & her walk in closets, adjoining sitting room and luxurious master bath featuring separate vanities, soaking tub, & stall shower. Accompanying the master suite are 3 additional spacious bedrooms with generously sized closets, a full hall bath. Adding to all of this incredible space is the full, poured concrete, basement. This is a great area for storage or can be finished off for even more living space. With high ceilings, neutral walls and floors, and tons of natural light this lovely house is a blank canvas just waiting for your personal touches to truly make it your home. Call today to schedule your personal tour." 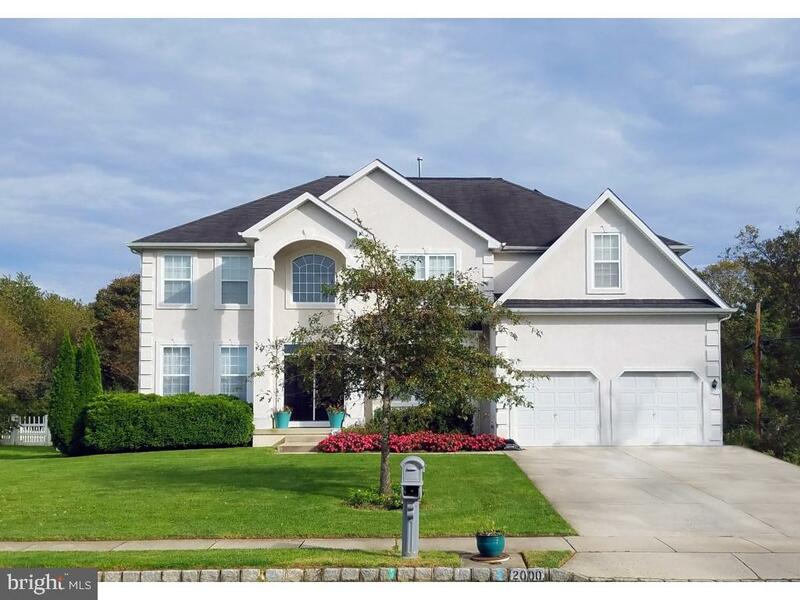 "Breathtaking renovated 3800+ square foot Madison Grande model in highly sought after Saddle Brook Farms. This was the largest model built in the development. Freshly painted in neutral colors waiting for your decorator touch. New flooring. New carpet. Grand two story foyer. Cathedral Ceilings. Nine foot ceilings. Tray Ceilings. Many extras and upgrades such as expanded Great Room with gas fireplace. Huge rooms. Sprawling kitchen offers beautiful cherry cabinets, farmhouse sink, granite counters, new appliances plus huge pantry closet. Sure to please the chef in you. Sliding glass doors to patio and lovely backyard. Formal Living Room. Formal Dining Room. First floor Study is a great place to work from home. Entertaining layout. Retreat to the master bedroom suite with sitting area, walk-in closet and En suite featuring double sinks, soaking tub and separate shower stall. Three additional large bedrooms and main full bathroom with double sink vanity complete the second level. Pull down steps to attic storage space. Full expanded basement is half finished with new carpeting plus full bathroom and unfinished area that can be workshop or additional living space. Central air conditioning. Pretty landscaping and plantings. Magnificent home in great area." "Model Home for sale at Monroe Pointe by Ryan Homes, a new single family development located in Williamstown. This listing is for our Ballenger model home and has a lease back of $2,600 a month. 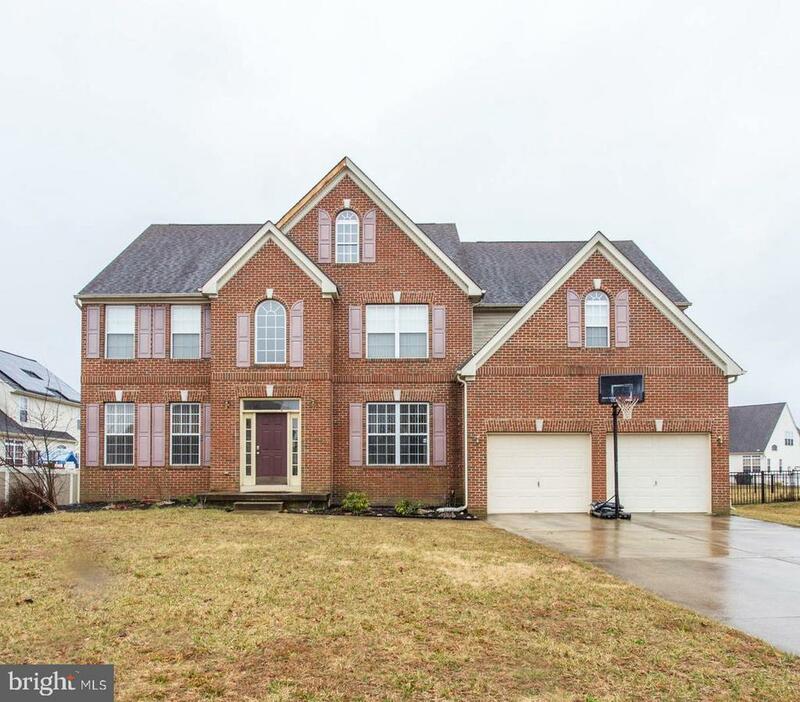 Home has 4 bedrooms, 2.5 baths, 2 car garage, fully finished basement with plumbing rough in, upgraded countertops in kitchen with island, and stainless steel appliances. 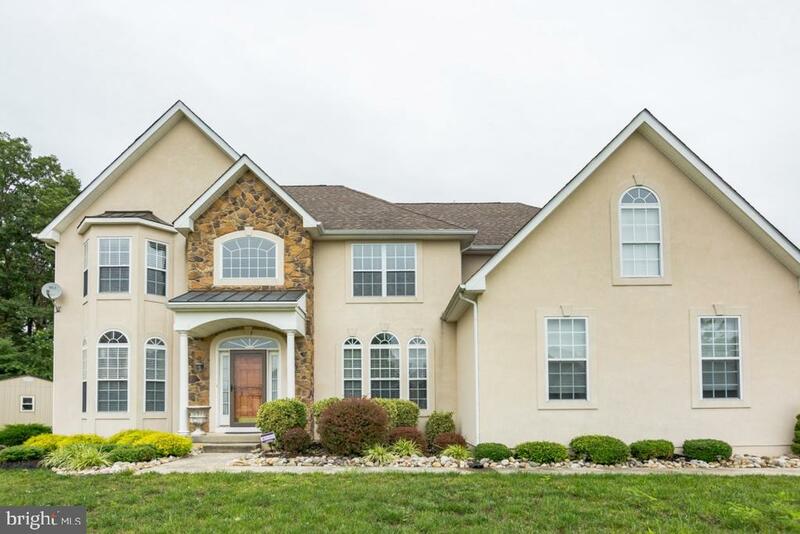 This beautiful home features a partial stone front with a full front porch, upgraded landscaping package, and custom painted interior. Please call to find out more information on this amazing model home investment and how to purchase it today! ****Pictures are taken from a model home and do not represent actual included features." "Welcome to the sought after Reserve at Twelve Oaks, where only 27 new homes are being built by America's #1 Builder, D. R. Horton! 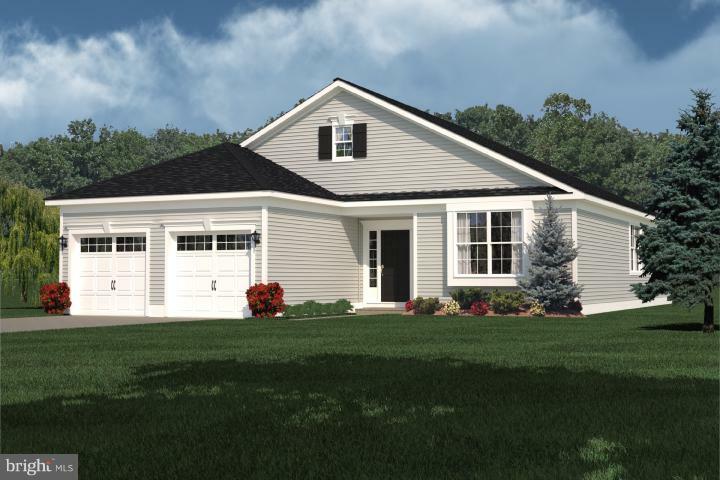 The Northwest plan features an open floor plan, perfect for entertaining! Upon entering your new home, you are welcomed by a large foyer, and to you will see your open formal living and dining area. You will also notice your main floor powder room. Walking in from the foyer, you will see your spacious living area, complete with your family room, kitchen, and dining area. 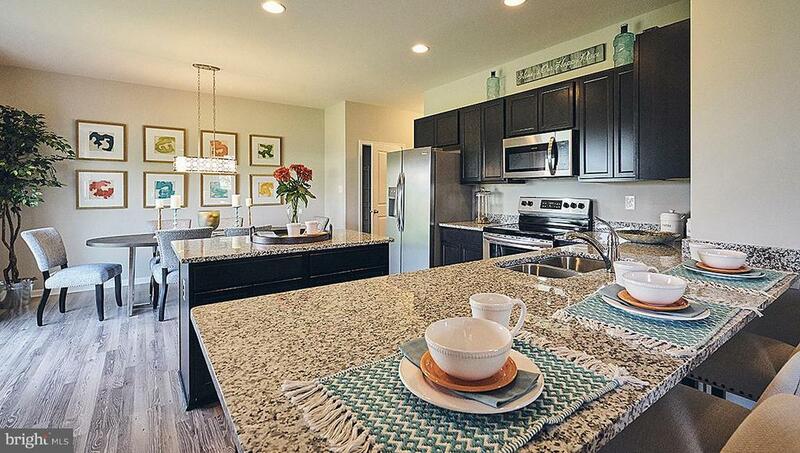 Your kitchen includes an island, large pantry, and stainless steel appliances! Coming in from your 2-car garage, you will have your large laundry room and an additional coat closet. Your second floor has 4 nicely sized bedrooms, a second bathroom, ample closet space, and even an additional loft area! Your spacious owners suite includes 2 large closets and your own private bathroom. Builder warranty, 9' ceilings, energy efficient 2x6 construction, and stainless steel appliances included! This community is situated directly across from Williamstown High School, and is conveniently located to many shopping areas, restaurants, movie theatres, medical facilities and other places of interest. You are minutes from Routes 42, 322 and 55. The Reserve at Twelve Oaks has it all - great location, quality built new homes and the most up to date features! No need to look further! Please call (856) 318-1800 or visit the Sales Center to learn more about the Northwest plan at the Reserve at Twelve Oaks!" 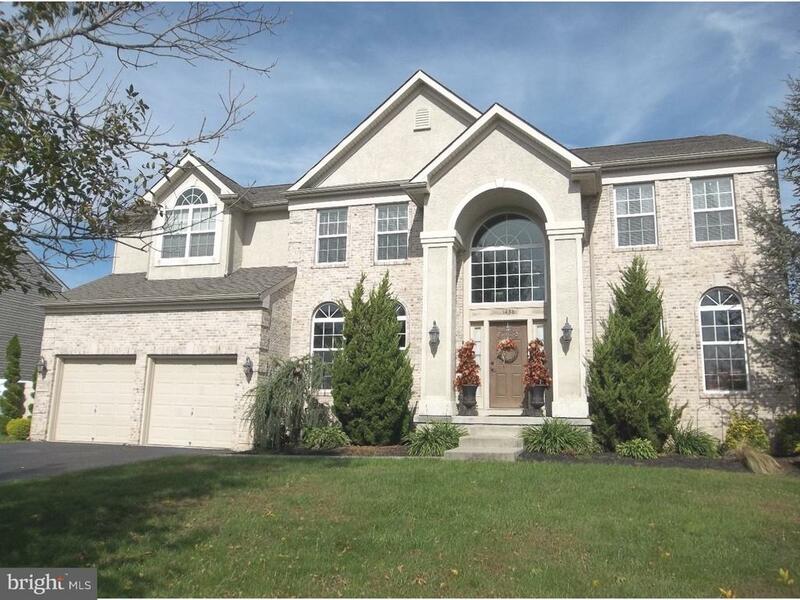 "Two story entry foyer welcomes you to this over 3300 square foot young Colonial in the Arbours subdivision. Freshly painted. New carpeting. Formal living room. Large formal dining room. First floor office. Maple cabinets in kitchen with center island and dining area that overlooks huge backyard. Kitchen opens to family room with gas fireplace and back staircase to second floor. Escape to your master bedroom suite and relax in the garden tub or refresh in the oversized shower. All large bedrooms. Fantastic closet space with organizers. And if that's not enough space, sneak away to the finished basement for additional living space and lots more storage." "This immaculate home is a must see! Located in close proximity to the AC Expressway, Philadelphia and all major shopping areas, you truly get the best of both worlds. 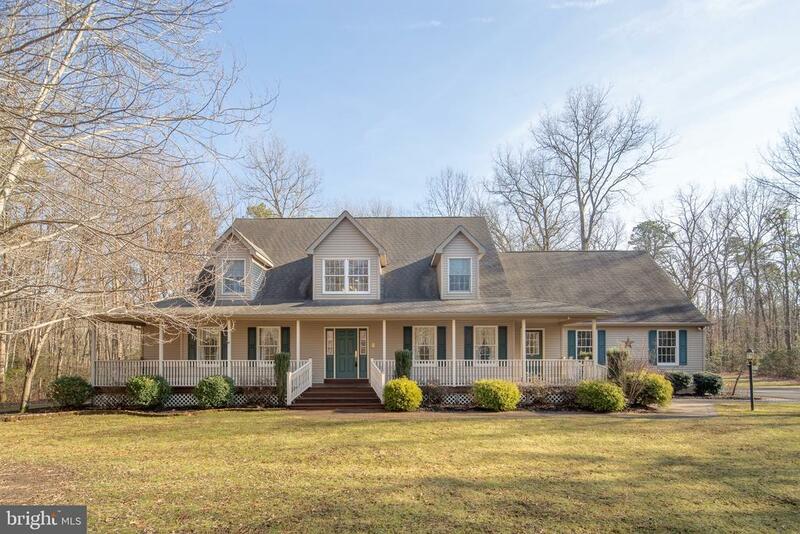 The home is situated on an acre of beautiful, mature trees. Sit on your wrap around front porch and take in the scenery. Once inside, the two story foyer and gleaming hardwood floors will take your breath away. Your chefs kitchen awaits in this perfect space for entertaining family and friends. 42~ cabinets with TONS of storage space, a pantry and beautifully selected Corian Countertops awaits! Sit around your center island or enjoy a dinner in your eat in kitchen-with gorgeous views of your private backyard. Have your guests help themselves to beverages from the butlers pantry as well! The kitchen opens up to your two story family room with a marble surround fireplace-a truly amazing space! The main floor also offers an office, dining room AND a living room! The upper level offers your Master Suite with a HUGE walk in closet-dressing area and a SPA like bathroom! Three additional oversized bedrooms and a huge bathroom are also featured on the upper floor. Don~t forget to check out your FINISHED basement-perfect for movie nights or a gym. The unfinished space is perfect for a storage room as well. This home will be on everyone~s list -Make it your own!" "Welcome to elegant living in beautiful Chestnut Green. This magnificent Radcliff I model has upgrades galore! Let us begin in the two-story foyer, with imported porcelain tiled floor, crown molding, 6 wood baseboards (throughout 1st and 2nd floors) and oak stairway. The Family Room has a gas fireplace with stone hearth, crown molding, and Brazilian cherry hardwood and porcelain floors. Living and Dining Rooms with decorative crown molding and Brazilian hardwood flooring. Half-bath with limestone wainscot and flooring. Laundry Room with heavy VCT flooring and two-tier wall cabinets. Ascend to the second floor via one of the two staircases to the 2nd floor foyer with crown molding, and enter the spacious Master Bedroom through the double doors. This enormous suite has crown molding, tray ceiling and upgraded carpet. The Master Bath has an oak vanity with cultured marble top, soaking tub and shower with ceramic tiled wall, and ceramic floor. Three other large bedrooms with ceiling fans and hall bathroom with marble counter tops, and ceramic tub surround and flooring, complete the second floor. The basement is an entertainers dream! Living area with Berber carpet, laminate wood flooring, and gas fireplace with brick veneer. Wet bar with maple cabinets and Corian counter tops, sink, ceramic tile floor, and decorative metal panel ceiling system. Also on this level are a gym area and fully-finished storage room. The exterior is fully landscaped with accent lighting, irrigation system, E.P. Henry retaining wall, edging, and walkway, retractable awning, and custom shed with electric. Special Features: Custom drapery throughout; 30yr. dimensional shingle roof; 2-zone high-efficiency heating and cooling systems, high-efficiency water heater; vinyl siding exterior; single-hung windows; upgraded 6 wood baseboards throughout 1st and 2nd floors. This home has it ALL! Schedule your showing TODAY!! This home will not last long in this busy spring market." "Bring your horses! This 4 bedroom, 2 full bathroom rancher sits on a quiet street. Large Living Room, Dining Room, hallway and 3 additional bedrooms all have hardwood floors.Master Bedroom with walk-in closet. Bathroom has jacuzzi and shower stall. A/C.Full Basement with high ceiling and a woodburning stove. Breezeway leads to Oversized 2 car garage with workshop.This 6.21 acre property is Site Specific Right to Farm. 10 Stall Barn with water and electricity. Feed Shed(10x12)with electricity. Tack Shed(10x16)with electricity.Hay storage(12x20) Water to each field.Electricity to 3 fields. All fenced with sure latches on all gates. Area light. Every field has lean to shelter your animals. Access to Winslow wildlife trail. Buyer due your own due diligence. Unique property. Call to make your appointment today!" "Bring your horses! 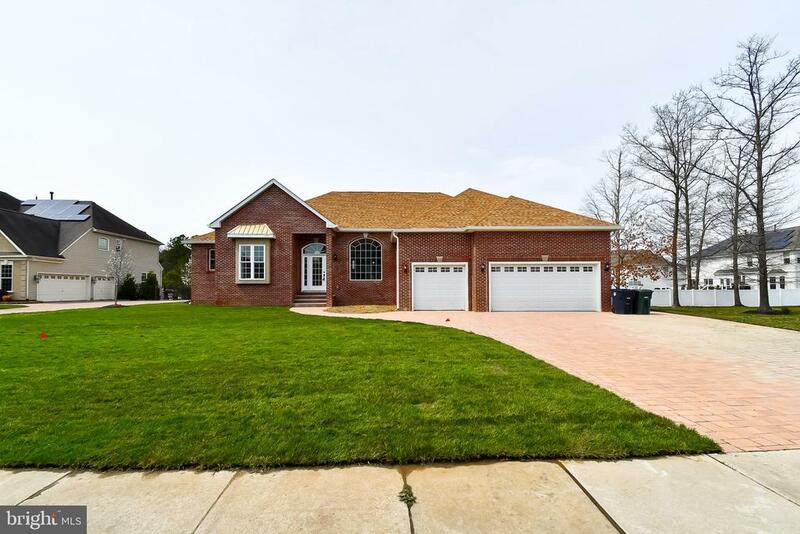 This 4 bedroom, 2 full bathroom brick rancher sits on a quiet street. 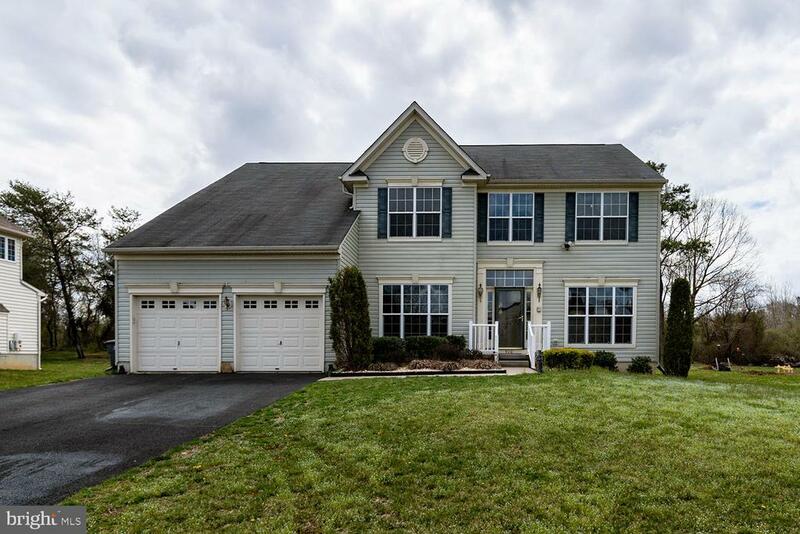 Large Living Room, Dining Room, hallway and 3 additional bedrooms all have hardwood floors.Master Bedroom with walk-in closet. Bathroom has jacuzzi and shower stall. A/C.Full Basement with high ceiling and a woodburning stove. 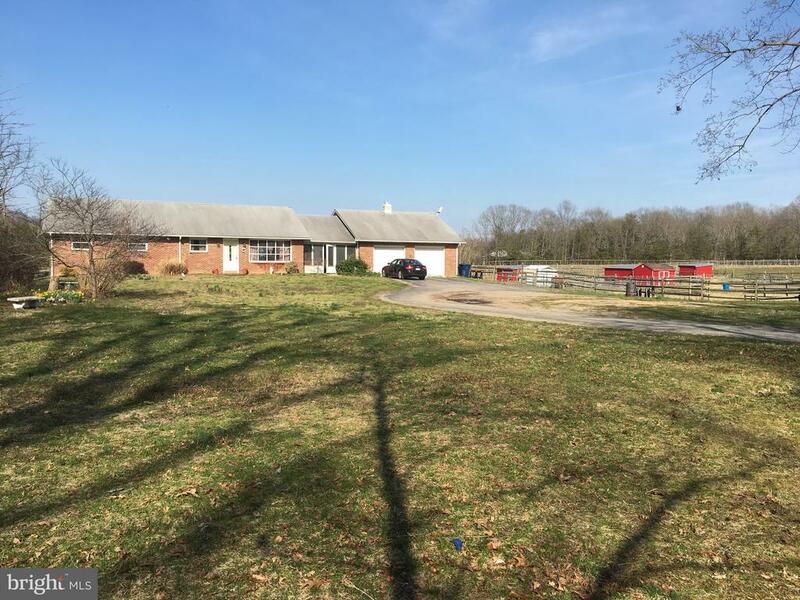 Breezeway leads to Oversized 2 car garage with workshop.This 6.21 acre property is Site Specific Right to Farm. 10 Stall Barn with water and electricity. Feed Shed(10x12)with electricity. Tack Shed(10x16)with electricity.Hay storage(12x20) Water to each field.Electricity to 3 fields. All fenced with sure latches on all gates. Solar electric fence. Area light. Every field has lean to shelter your animals. Access to Winslow wildlife trail. Buyer due your own due diligence. Unique property with a lot to offer. Call to make your appointment today!" 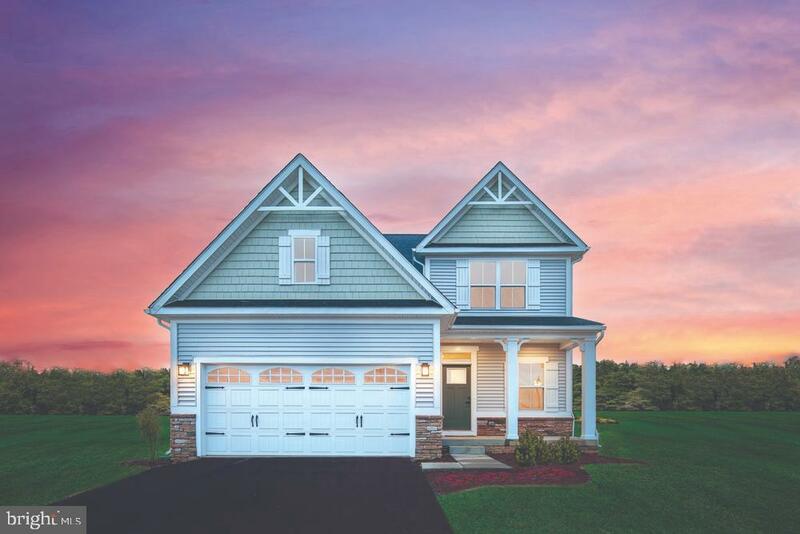 "Best Value for Brand New Single Family homes in Williamstown, NJ being built by America's Builder, D. R. Horton, The Ellerbe features an In Law Suite on the first floor. Upon entering you are welcome by your Foyer, Flex Room which could be your home office, powder room, followed by your open floor plan of the kitchen. informal dining area and living room. Your second floor has 4 bedrooms, 2 full bathrooms and a large loft. Did I mention that this home also has an unfinished basement and 2 car garage. This home is in the sought after Reserve at Twelve Oaks, where there are only 27 homes being built. 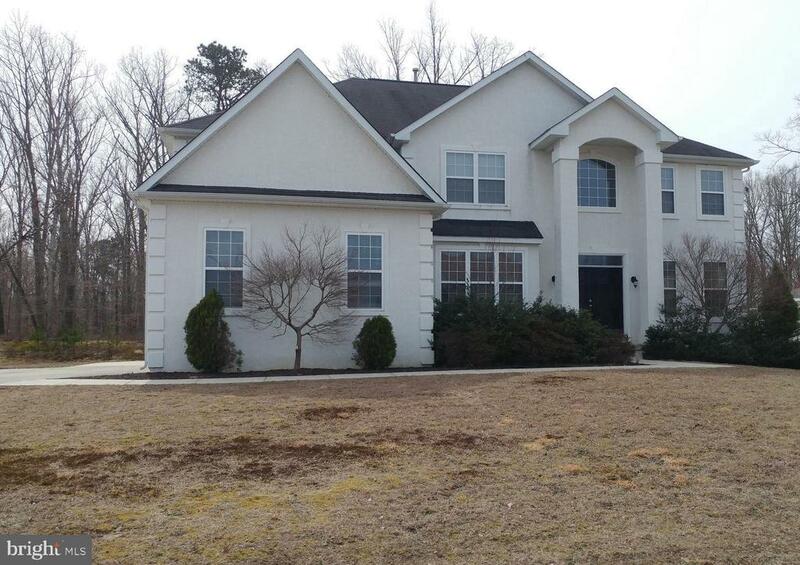 The Reserve at Twelve Oaks is conveniently located to major routes such as 55, 44, 322, Atlantic City Expressway. Minutes for shopping areas, outlets, restaurants, entertainment medical facilities and other points of interest. The housing market is hot and now is the time to come visit and purchase your newly built home with all the warranties and up to date features that only a new home can offer you. Special advertised pricing reflective of use of DHI Mortgage. Contact a sales Agent for Details. Photos are of a similar home in another community." "New construction without the wait -- this home is under construction and will be ready for May move in!! The Galen plan features an open floor plan, perfect for entertaining! Upon entering your new home, you are welcomed by a nice size foyer and flex room. You will also notice a powder room and coat closet on the main floor for your convenience. Your kitchen includes an island, large walk-in pantry, upgraded white cabinets, granite countertops, and stainless steel appliances! Right off your kitchen you will have your dining area and large family room. There is also a 2-car garage. Your second floor has 4 nicely sized bedrooms, including your spacious owners suite with an impressive walk-in closet and private owners bathroom. The second floor hall bathroom comes with double sinks, and your laundry room is located on this level for your convenience as well. 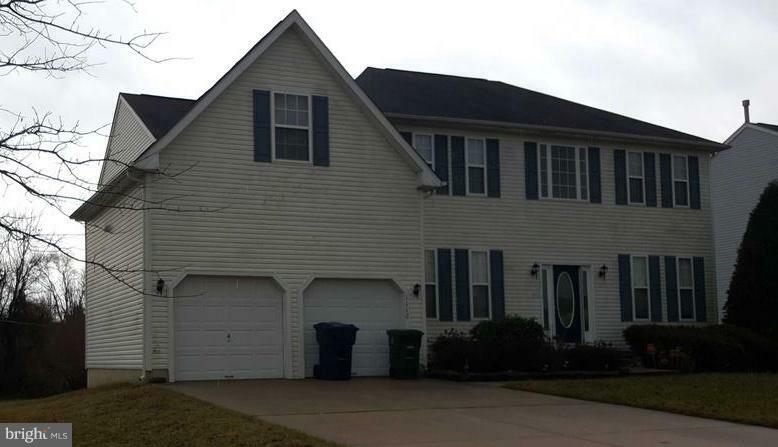 This home is located in the back of a cul-de-sac, and backs to trees for additional privacy!! Builder warranty, 9' ceilings, energy efficient 2x6 construction, and stainless steel appliances included! This home is being built in the sought after Reserve at Twelve Oaks, where only 27 new homes are being built by America's #1 Builder, D. R. Horton. Twelve Oaks is conveniently located to many shopping areas, restaurants, movie theatres, medical facilities and other places of interest. You are minutes from Routes 42, 322 and 55. The Reserve at Twelve Oaks has it all - great location, quality built new homes and the most up to date features! No need to look further!"